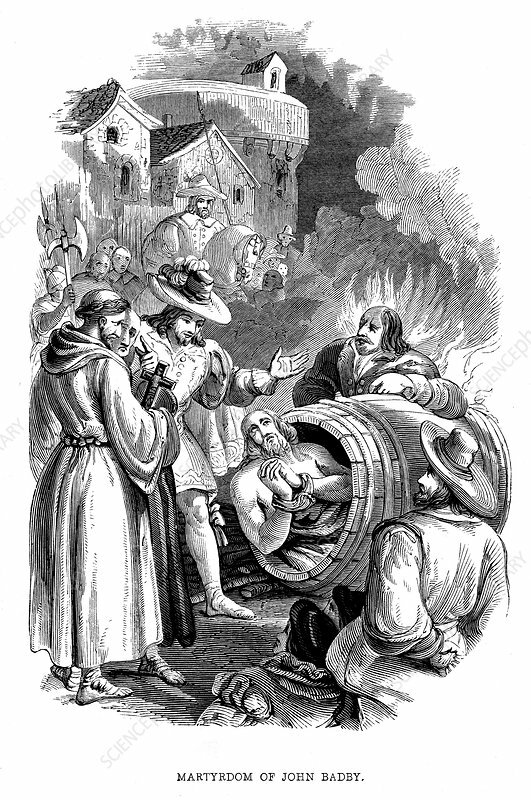 Burning of John Badby (d.1410) at Smithfield, London, for heresy. A tailor from Worcester, he was a Lollard and follower of Wycliffe. Denied transubstantiation. Wood engraving, 1848.